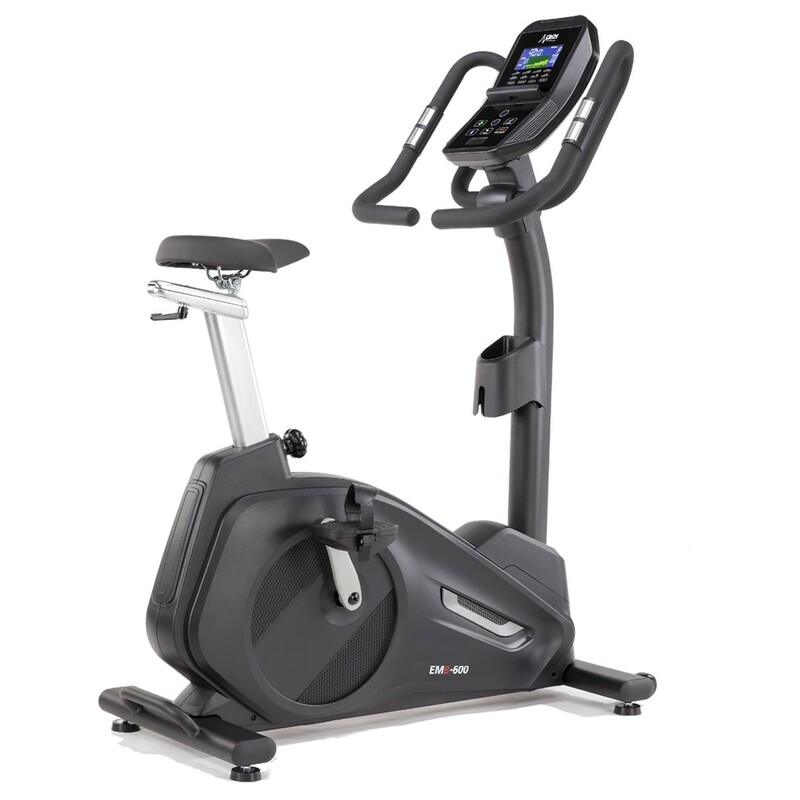 If you are searching for an easy to use exercise bike then you might be interested in the ProForm 210CSX Upright Exercise Bike. This is definitely a no-frills approach to exercising, but for the low price, this bike is an excellent product. With plenty of workout options, resistance levels, a designated weight loss programme and easy to use console this is a great low-range option for any commercial or home gym. Want to get fit, want to do it for cheap, want an easy life? Easy. Read on and find out how you can achieve all of these with the 210CSX. There are 14 built-in programmes that cover the core activities such as fat burning, time trials, calorie goals, heart rate and interval training. Uniquely, the 210CSX also comes with a specific 8-week weight loss programme which is a great challenge to do. 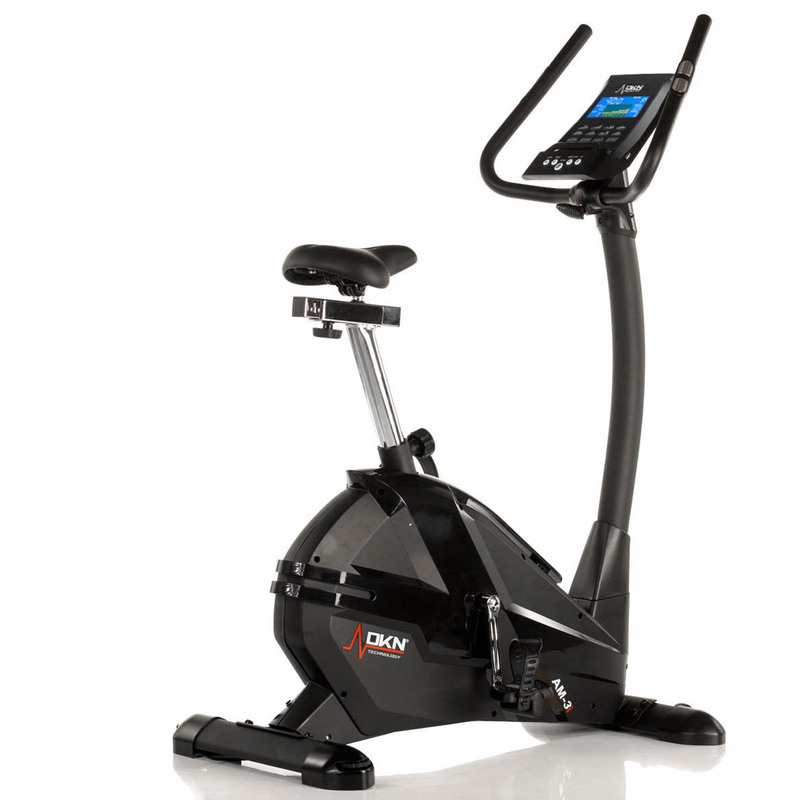 This is a good amount of workout options for a low-price model, but if you are hoping get more for your money then look at the ProForm 225CSX Upright Exercise Bike. There is another option of course. You could subscribe to iFit. A subscription to iFit gives you unlimited access to hundreds of workout videos, and fresh ones every day. You can also challenge friends, track your progress, get nutritional information and attempt fitness challenges. If you team this with Google Maps then you can virtually cycle any road and the bike will automatically adapt your setting to offer a real-road experience. Of course, you can also alter these settings yourself. The resistance levels are a way of increasing the challenge level. The 210CSX offers 16 silent magnetic resistance levels, so you’ll feel that burn in no time at all! Although 16 levels might not sound like enough, you’ll find that the highest level is actually a fairly intensive workout. Tough enough for even the highest fitness level users. Your keys stats such as speed, distance, calories and pulse are all shown on the silver tinted LCD display. 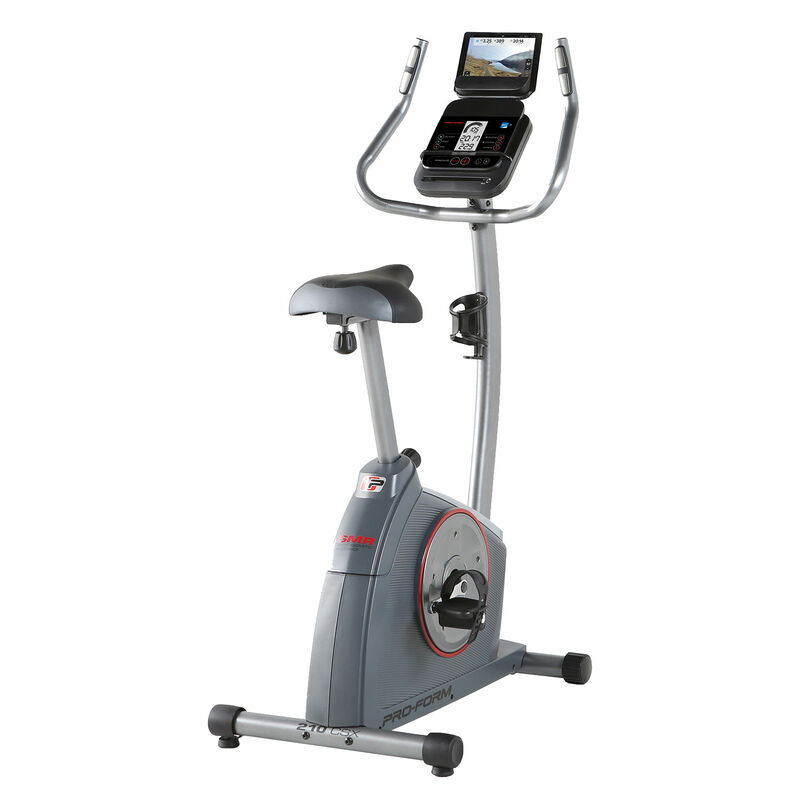 As we mentioned before this model is ‘no-frills’ and so although some models offer oversized, web-enabled consoles such as the Sole Fitness LCR Recumbent Bike, the 210 CSX doesn’t. Instead, it does clearly show your key data on the silver tinted screen, ideal for adapting your challenges and mapping your progress. Your important heart rate is mapped by using the dual EKG pulse grips, again for quick and easy reading. Convenience and usability is built into every aspect of the 210CSX. Although some reviewers have said that the CoolAire workout fan, with its dual setting, could be stronger, it will help you stay cooler and workout for longer. Team this with the Intermix Acoustics 2.0 sound system and you can cycle along happily to your favourite tunes. You can rest assured that your feet won’t slip on the ergonomic pedals with straps and you’ll find a comfortable upright seating position on the saddle which adjusts both vertically and horizontally. Even the design of the bike itself is built for comfort with an easy step-through design. So, what's our final thoughts on the 210CSX? "Best low price piece of equipment"
Said one owner and we can see why. It’s simple, straightforward, you can easily get on a start cycling within minutes. This product is great for those of you who are short for time or who just want to focus on improving your performance without worrying about any of the additional programmes or gadgets that other, more high-end products have.